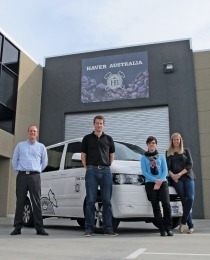 The Haver & Boecker Southern Africa team has been reorganized. The new Managing Director Norbert Tschudy is now supervising the company and brings in his years of experience in international technical sales and his strong customer orientation. Sarina Karstens, Head of Finance and Administration, responsible for the financial well-being of the subsidiary and Fabian Stuart, Head of Operations and in charge of customer service, complete the management team. A particular focus is given to customers with a new sales team comprising Jonas Komitsch for the food and chemical sector and Jade Edas for the building materials and mineral sector. 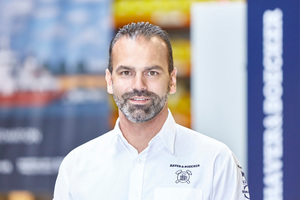 As Head of Sales and Projects, Norbert Tschudy supports this team and is also responsible for the cement customers. A team made up of Cianne Scheepers, Abrisia Maswinyane and Sylvia Landman handles spare parts supply and management, most of the spare parts being available from the Johannesburg premises. The Service Technician Ben Yenga works daily to assist customers with installation, commissioning, maintenance, trouble-shooting and the upgrading of equipment. 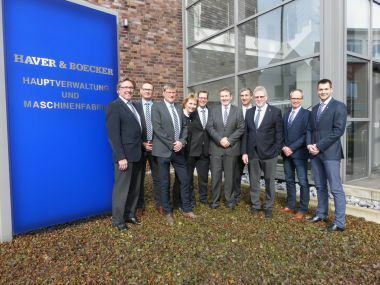 His German colleagues offer support where needed, and with the business increasing, another Haver trained technician will soon join to the team. Significant benefits for customers include the new partnership with the South African based company Portland Packaging. Currently supplying a complete range of cost-effective compatible spare parts for all type of packers, the company will start manufacturing a new range of Haver OEM quality parts. Customers will benefit from the local production of original spare parts that will be readily available at more affordable prices. 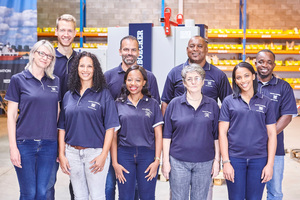 Thanks to this partnership, customers will have access to a range of Portland Packaging packing machines engineered by Haver & Boecker, specifically designed for the African market, with no compromise on quality. These locally assembled packers would be in addition to the existing range of equipment and machines made-in-Germany. The combined forces of the two companies will now result in a complete portfolio to serve customers, from basic entry level to premium highly sophisticated requirements. Sales of both Portland Packaging and Haver & Boecker parts, equipment and machines on the Southern African continent are now filtered through a single channel, which is Haver Southern Africa.